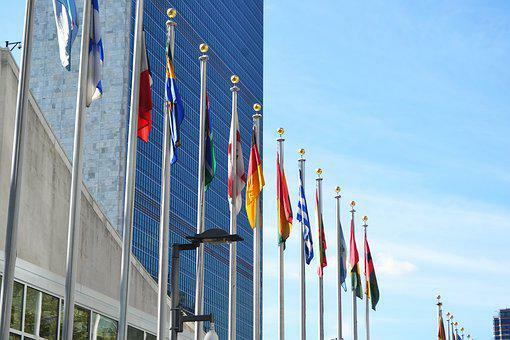 The financial problems of the United Nations are sometimes brought about by the refusal or failure of some member states to pay their dues and other obligations on time. A large number of member states are from the third world whose economies are not doing well, so they find it difficult to pay up their financial obligations. Even the well-endowed once like the United States also delay in the payment of their dues and other obligations. In 2015, for example, the United States alone owed the United Nations $655 million in unpaid contributions to the organization, about 22% of the total budget of the U.N. for 2015. The permanent members of the Security Council of the United Nations use their veto power to thwart the efforts of the organization in solving some of its numerous international problems, especially problems pertaining to international conflicts. It was used by the US on several occasions to support Israel. This has left the Middle-East crisis to linger on for much longer than should have been the case. Though the Charter of the organization requires that all nations are treated equally, most of the times, the member states are not regarded as such. On paper, it is so but in practice, it is not. Some member states are deemed to be more important than others, especially the richer countries and the members of the Security Council. For example, at the meetings of the specialized agencies like the World Health Organization, the weaker nations look on while the stronger ones call the shots. The United Nations does not have a standing army so it is difficult for the organization to enforce the resolutions that are passed. They are, therefore sometimes unable to punish member-states that fail to adhere to the resolutions. The tool available to United Nations is the use of persuasion to achieve its objectives. Not all the member states belong to the same ideological block. Some are capitalists and others are communist or of other political and economic ideologies. This has sometimes created disharmony within the United Nations Organization. These differences in ideology make it difficult to secure agreement on matters of international importance. The United Nations has also not been able to completely solve the refugee crisis that has bedeviled the world, especially the more recent influx of refugees from parts of the Arab world to Europe. In the last few years alone, a number of refugees entered Europe after fleeing armed conflicts in Syria and elsewhere. The United Nations has not been able to fully deal with this. 1. a. What it the United Nations Organization? b. Which five problems are faced by the United Nations. 2. Highlight six problems of the United Nations Organization.